Marinka has lived with her grandmother, Baba Yaga all her life, helping her to lead the dead through The Gate to the stars and to enjoy one last wonderful meal together and hear the stories of their lives. But Marinka is lonely. Her only other company is Jack the Jackdaw. All she wants is a real friend and to stay in one place for more than a few days as her house on chicken legs is constantly on the move. Marinka is warned not to break the rules and stray away from the house. One day she finds a boy with an abandoned lamb sitting on the other side of the fence. But just as she begins to make friends with him and the boy loans Malinka the lamb to look after the house moves on. Malinka is heartbroken. A few days later she adopts a new friend but this time the consequences are devastating and her grandmother disappears. To find her Marinka has to seek the help of the Old Yaga. She also becomes friendly with two other girls in the market but is shocked to discover they are not kind-hearted and finally begins to appreciate the special relationship she has with her house, her grandmother and the yaga community. Malinka has always been told her destiny is to be the new yaga but she is a spirited girl and wants to plough her own furrow. This book is the journey she takes to find out who she is. The writing is gorgeous, almost poetic; the story tender, poignant and full of lovely details. It is a timeless tale of death and grief and the zest for life. 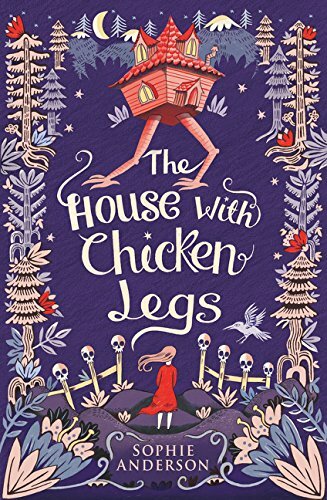 The characters are wonderful and I particularly love the sentient house with chicken legs who is rooting for Marinka all along and has nurtured her from a baby growing her vine swings, making her dens and protecting her from danger. A hugely satisfying read.